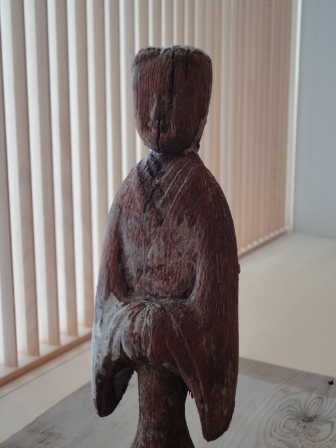 This Chinese wooden effigy dating from the Han Dynasty (3rd cent. BCE - 3rd cent. CE) is now on display at the gallery. 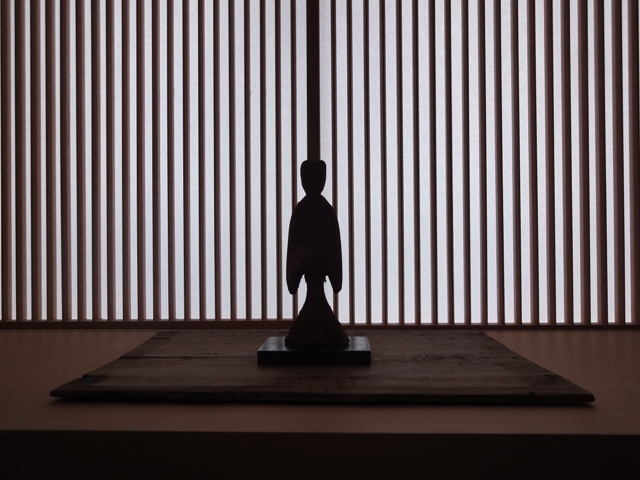 And against the sliding doors designed by Sugimoto Hiroshi it has a very mysterious presence. Upon close inspection, however, you may be surprised to see that she is smiling ever so slightly. Effigies such as this were sealed in tombs and were one of many types of funerary objects.